I like to purchase vintage and antique rings, and then do my own little investigations on them. 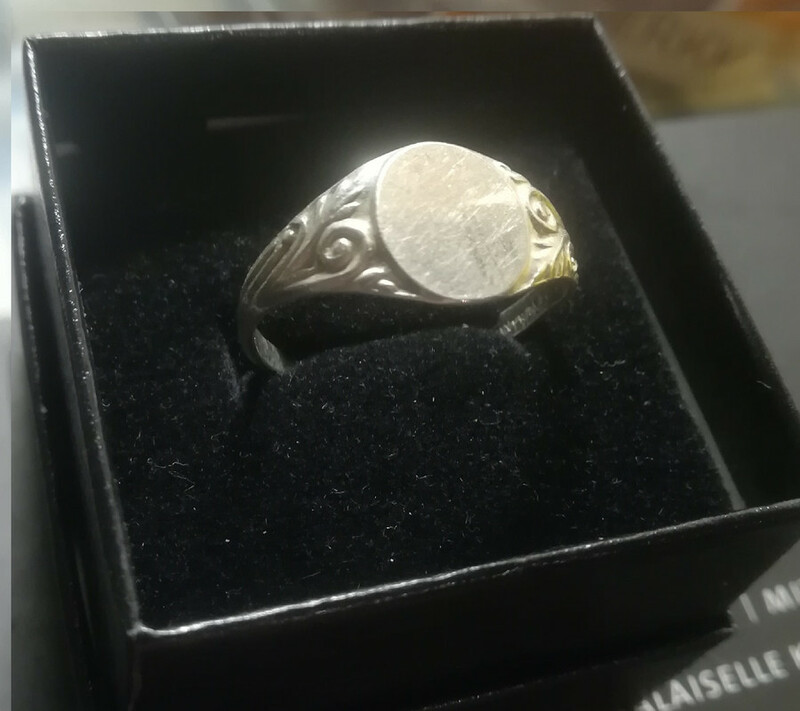 This latest one I bought is a bit tough one for me, because I can't even tell for sure if it's a gent's or a ladie''s ring. The overall look of the ring looks art nouveauish to me, - and if this ring is that old - then the floral pattern would've been the choice of style for both men's and women's jewelry. And then the tricky part! The ring size is 11 US/V UK, which indicates (at least for me) that the ring is a men's ring. 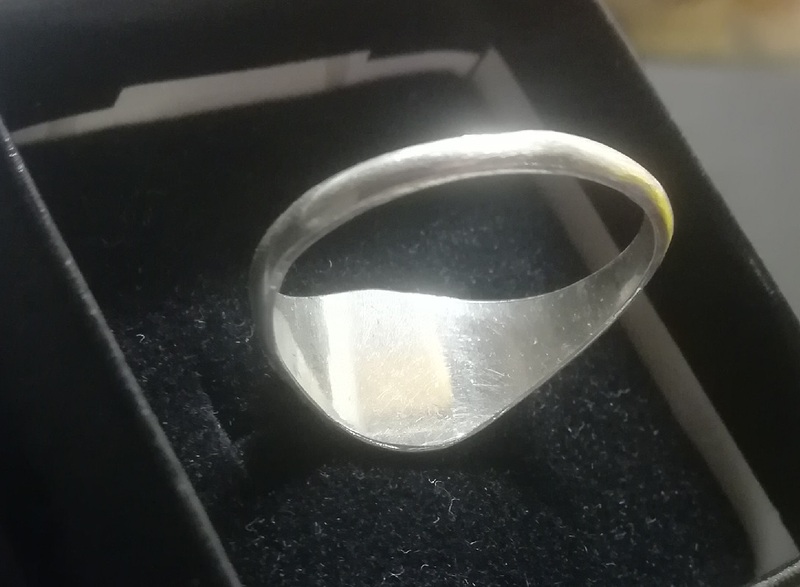 But on the other hand, the ring band's narrowest point is only 2 mm wide, which is, if I've understood correctly, something they'd put on a women's rings rather than men's. I try to attach two photos for you... PS. And the ring is stamped only with a "STERLING SILVER" mark.